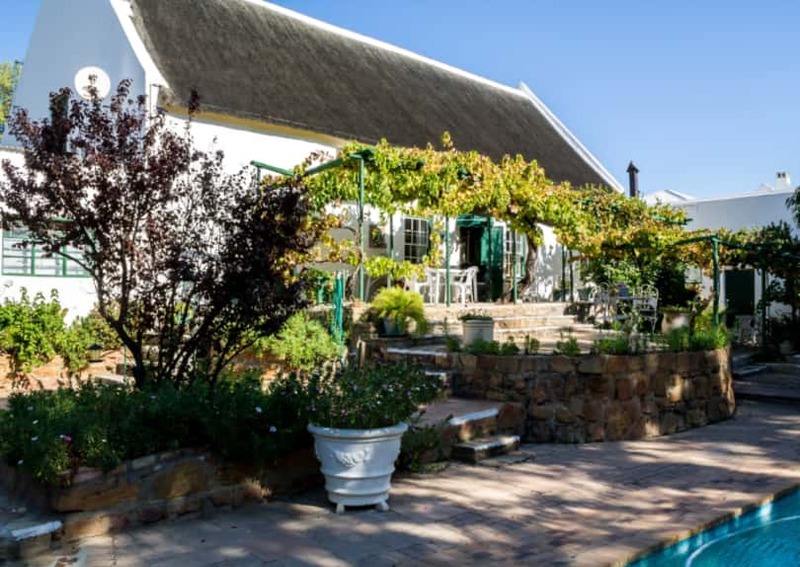 A fabulous Cape Dutch country estate in sought-after Clanwilliam in the Cederberg is on offer for just R3.9m. With property prices in the Western Cape now rising rapidly, many buyers are beginning to look elsewhere for value. Even closer to the Cape metro, you will find country town prices beginning to edge ever higher. If it therefore refreshing to find that you can still buy for under R1.5m in a sought-after town such as Clanwilliam, a popular tourist town, barely two hour’s drive from the City. It is one of the lesser known areas and Janine Ferreira, Seeff’s agent for Clanwilliam and nearby Citrusdal, says that the upgrade of the N7 Highway makes this are now even more accessible: “Both towns fall within the beautiful Cederberg district that includes attractions such as the village of Wupperthal, made famous by Boerneef’s poem, ‘Die Berggans het ‘n veer laat val’ and the ‘Nuwe Graskoue Trappers’, a riel dance group who won gold at the 2015 World Championships”. Clanwilliam is the main town of the area and is strategically located on the Cape-Namibia Corridor in a particularly scenic part of the Cape. Aside from being a popular stop-over en-route to Namibia, the area also boasts the huge Clanwilliam Dam and rugged Cederberg Mountains and is an adventure and nature lovers’ paradise with pursuits such as watersport, hiking and bird watching popular in the area. “Other attractions include the annual Wild Flower show in August/September when this whole side of the Western Cape up to Namaqualand transforms into a carpet of flowers”, says Ferreira. “The area has a busy agricultural sector and is famous for its Rooibos cultivation. It therefore has a busy residential property sector, but is also very is popular for retirement, weekend getaways and day trippers. The fabulous climate combines with a healthy environment to create the ideal country destination”, says the agent. For older buyers, the area offers an excellent lifestyle and good infrastructure. Families can rest assured that there are great schools. There is plenty to do in the town that offers facilities such as lawn bowls and a golf club. For everything else, you are close to the Cape metro on the one side and Boland towns such as Paarl on the other side. According to Lightstone data, the town is home to about 6892 households and about 1944 properties, almost all of which is full title. Although about 60% of property owners are above fifty years old, it is notable that recent buyers are predominantly below this age, comprising almost 60%, some 16% of which are below 35 years. At the same time, recent sellers have been mostly in the older age groups, with some 73% above fifty. “The above shows that younger people are increasingly attracted to the countryside”, says Ferreira. “Clanwilliam is also one of the few towns on the western countryside where property transactions were up last year with Lightstone indicating 47 transactions for the last year, 24% up on the 2015 year and very similar to the 2014 year”. The median price of houses in the town is around R1.3m-R1.6m, but you can find quant little two-bedroomed thatched cottages for around R750 000-R850 000 along with houses priced to around R1.4m for four bedrooms. “If you are looking for a fabulous country house, then you can look at a 6299sqm smallholding that offers stunning accommodation and a canal that runs through the property. It is situated in a great location in Park Street”. It can serve as a lovely family estate, but Ms Ferreira says that it is also ideal for a guest house as you can rent out the cottages. The typical Cape Dutch cottage style house comes with a thatched roof, sash windows and natural stone work on the terraces and pathways. The main house features stunning woodwork throughout including rare Cedar wood ceilings. It includes a large living room, open-plan kitchen and dining room, scullery, office and two bedroom with full en-suite bathrooms as well as a guest toilet. There are also three cottages and a log cabin, each of which features one bedroom along with a living and kitchenette area and these can be extended and upgraded further. In the garden is a braai area with an outside oven and large swimming pool. The lush garden is filled with a variety of fruit trees and there is a full irrigation system with water from the canal an option. Other features include a double garage with a large loft space and two double boat houses and additional secure parking. 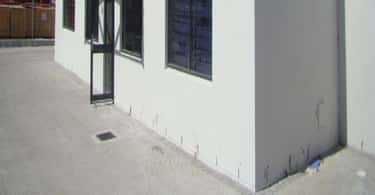 There are also three Wendy houses and a small concrete dam and the entire property is fenced with electric gates, an alarm system and sensor beams. It is priced at R3.9m.